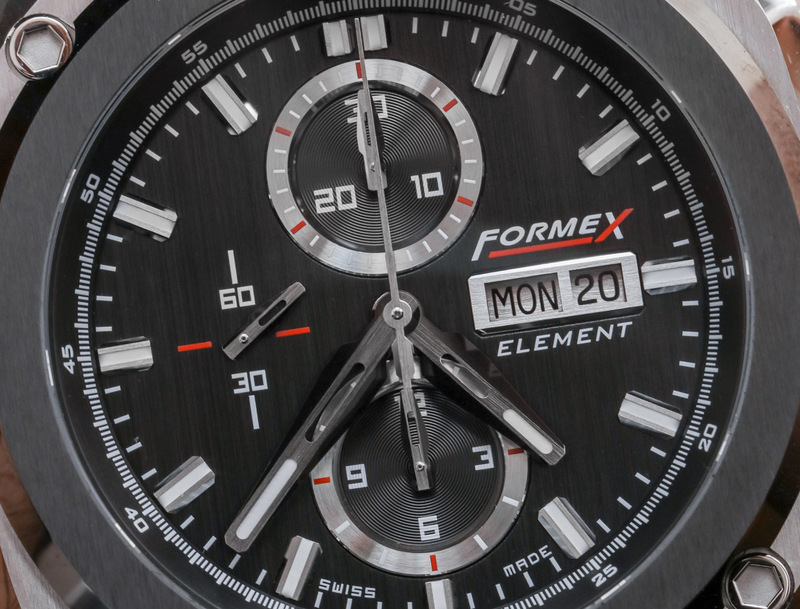 The latest timepiece from the recently revived Formex watch brand is the Formex Element. The Swiss brand boastfully refers to the Element as “the most affordable high-end watch in the world.” I might not join them in applying such poetic license to the description of their product, but I do agree that for under $1,500 USD, there is a lot of timepiece in the Element collection. 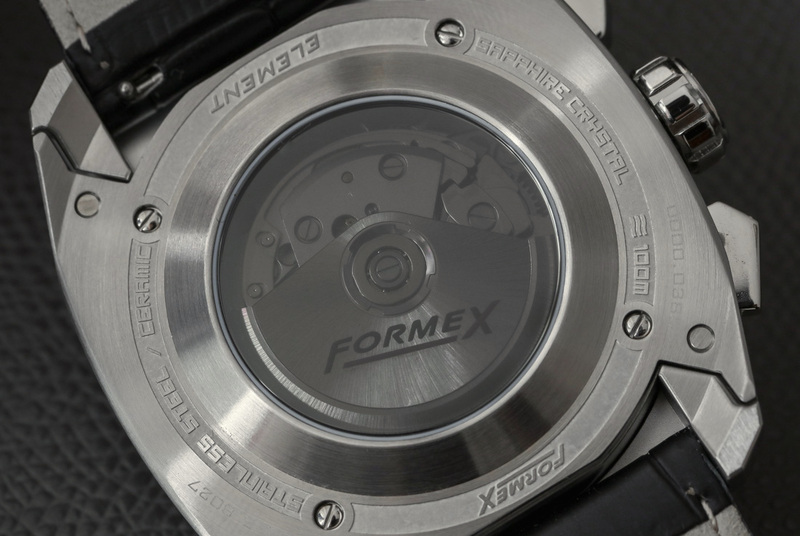 Formex began life as one of the many mechanical watchmakers inspired by the world of professional motor sports. 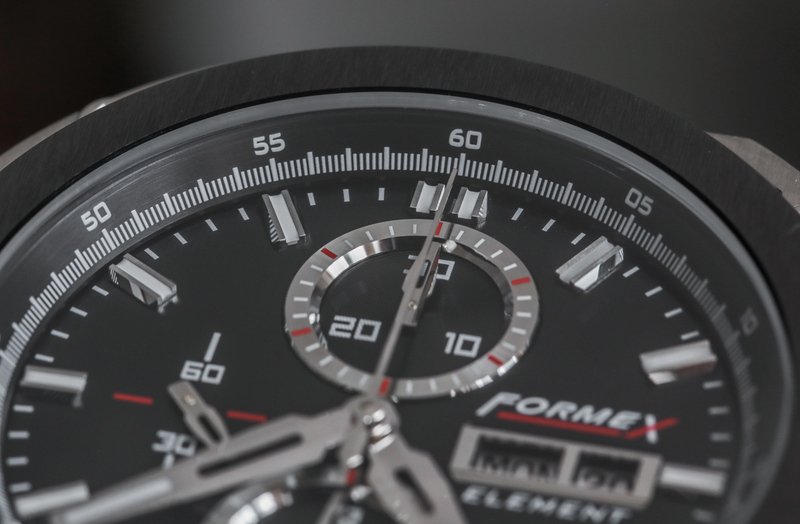 Unlike most other racing-inspired watch brands, Formex timepieces up the ante a bit by not just dressing their watches for the role, but also including a bit of unique technology. 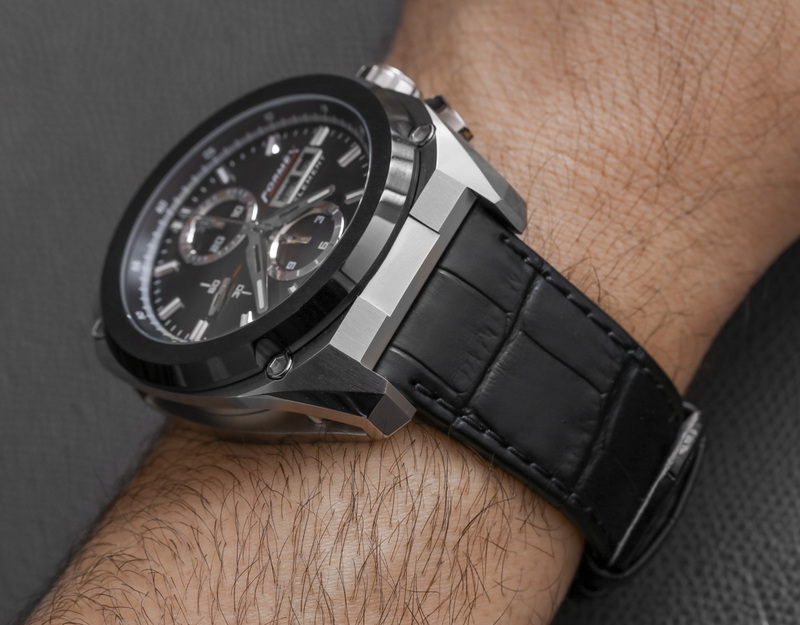 They call it “case suspension,” and the idea is actually as practical as it is fitting for car-themed timepieces. I’ve had other Formex watches with a case suspension system, but I have to say that it works particularly well in the Element. The idea is that the inner case and bezel are attached to the outer case/lugs via four little shocks – each with a small spring inside. If your wrist experiences a jolt, extreme vibration, or other form of shock, the suspension system is designed to absorb it. This way you can keep your jack-hammering job and wear the “world’s most affordable high-end watch” a bit longer until something goes wrong. OK, perhaps the constant vibrational abuse of jack-hammering is a bit too much for any mechanical timepiece, but the logic remains that the Formex Element might just survive where other mechanical watches won’t. Without any particular scenario to consider when I’d wear the watch, the “technical story” alone is enough to get myself (and likely many of you) just that much more emotionally and intellectually interested in this timepiece. 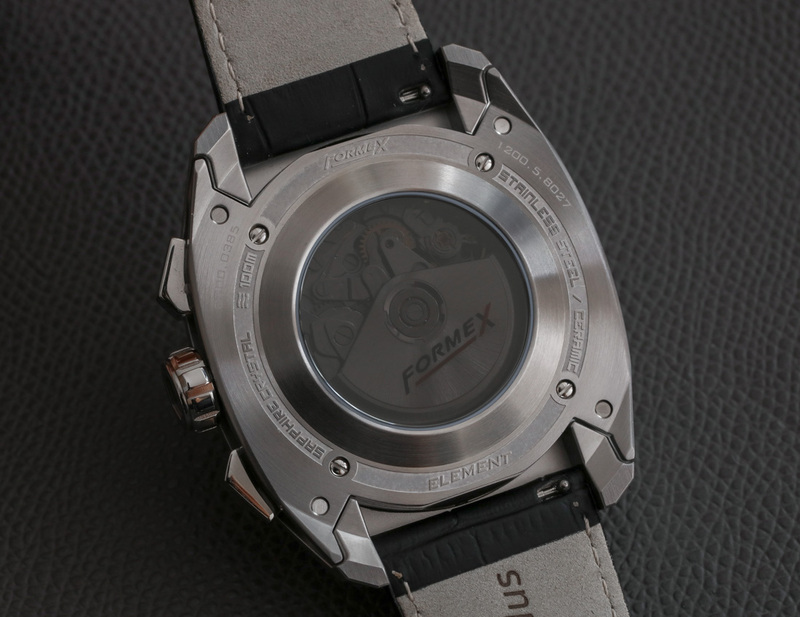 Hey, it’s a very competitive mechanical watch market out there, and smaller brands like Formex typically don’t amount to much without interesting extras like the case suspension system – and similar technical or design stories behind their products. At the end of the day, it is really about consumers being in search of originality in the luxury brands they back. 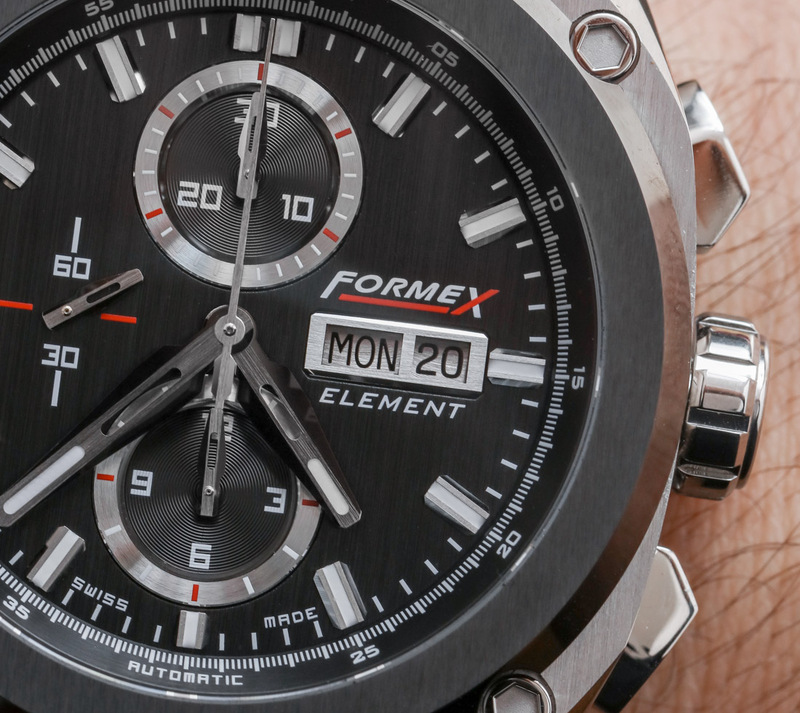 The Formex Element case is in steel (with brushed and polished surfaces), with either a black ceramic or matching steel bezel. You pay about $200 more for the ceramic bezel, which is probably worth it since it is a big part of the case’s value proposition in my opinion. Size is on the heftier side of things, with a diameter of 46mm wide and a thickness of 14.5mm with 100m of water resistance. 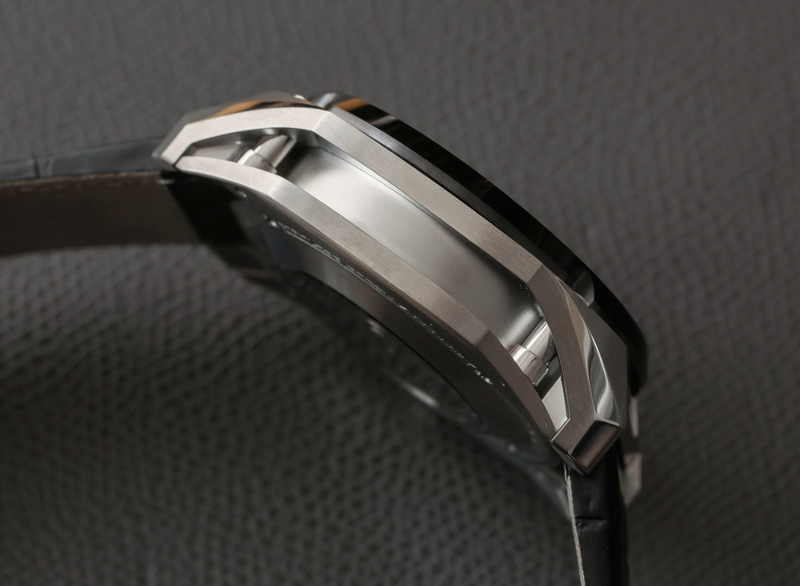 The crystal is covered with a flat AR-coated sapphire crystal, and over the movement Formex opted to go with a tinted sapphire crystal, whose tint is perhaps just a bit darker than it needs to be. 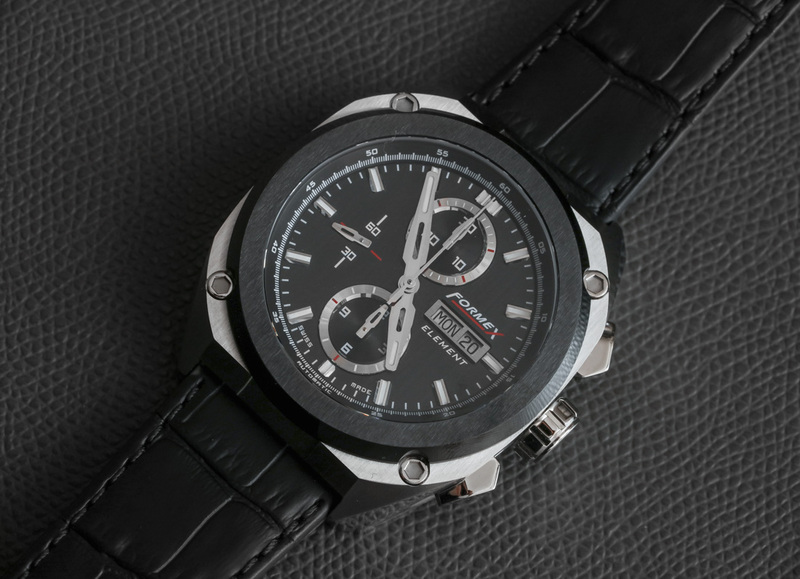 Underneath the crystal is a standard-grade Swiss ETA Valjoux 7750 automatic chronograph watch. This isn’t perhaps the cheapest watch out there with a 7750, but it certainly is among the more complicated watches in terms of design and construction to offer this really reasonable price point. Formex emphasizes that the case alone has 38 parts. 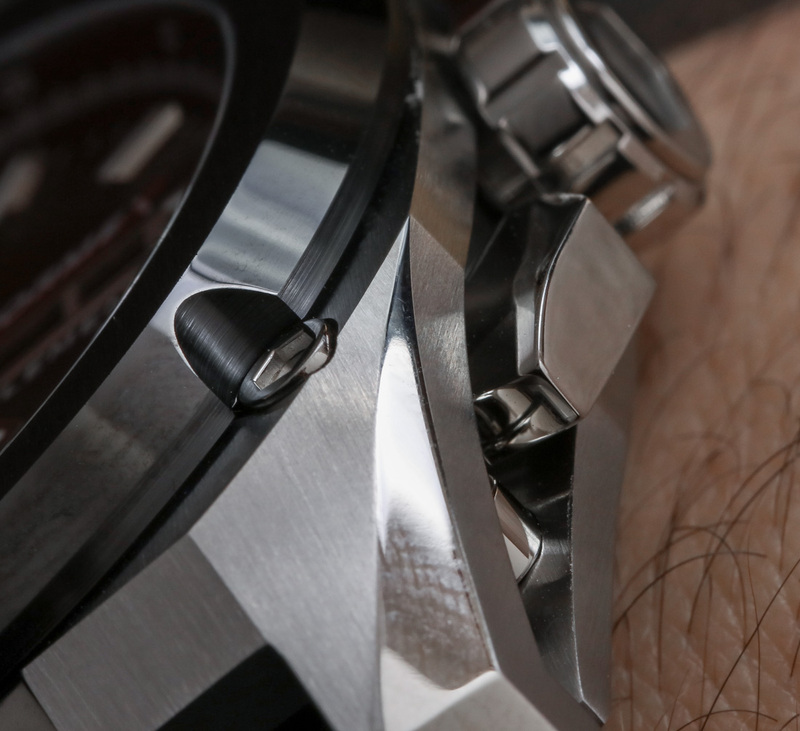 While the outer case is steel, apparently the inner case (movement container as they call is) is in titanium. 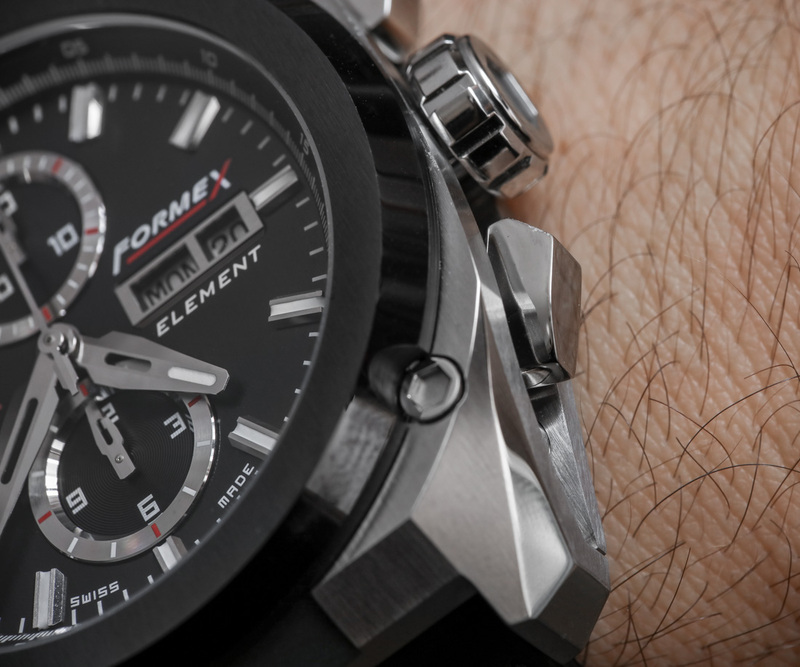 Formex uses the full functionality of the 7750, which means that you get to see the full 12 hour chronograph, time, and date/day complication of the durable and dependable 4Hz, 42 hour power reserve mechanical movement. 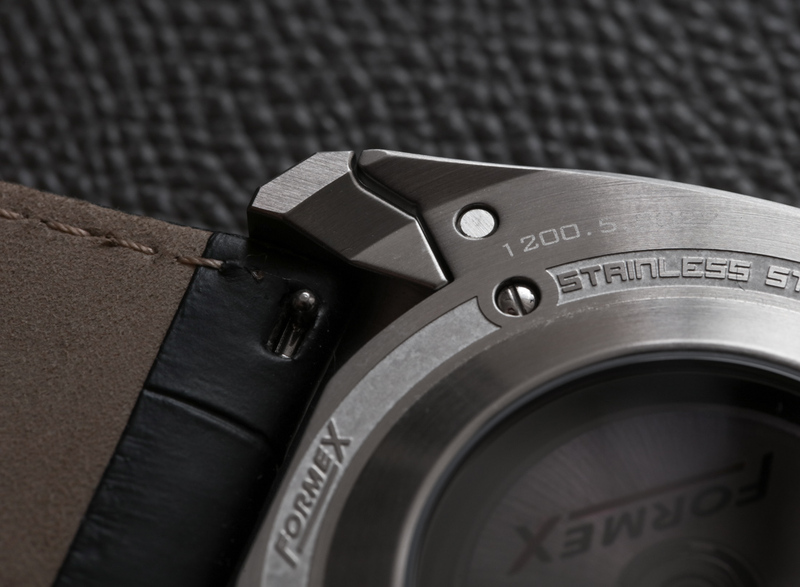 Formex even added a touch that I find particularly impressive, which is the use of custom day and date discs. Rather than going with a stock black or white-colored disc for the calendar information, the discs are in a brushed steel tone, which harmoniously matches the aesthetic of the hands, hour markers, and sub-dial rings. The black ceramic bezel is also contrast-finished with the upper section being brushed while the beveled side is polished. Ceramic is much more scratch-resistant than steel, which is the primary reason you want it. There is also the added benefit of its style thanks to the black color. 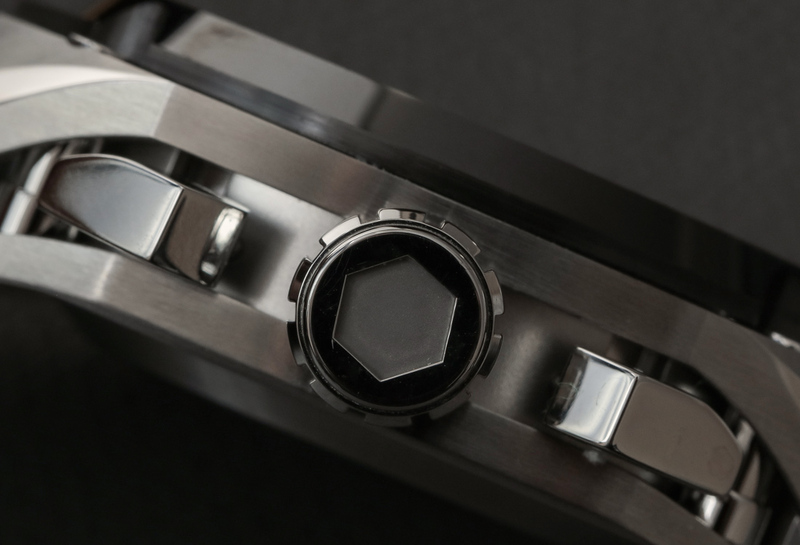 Again, if you prefer a more uniform look to the case, a steel bezel is offered as well for the Element. 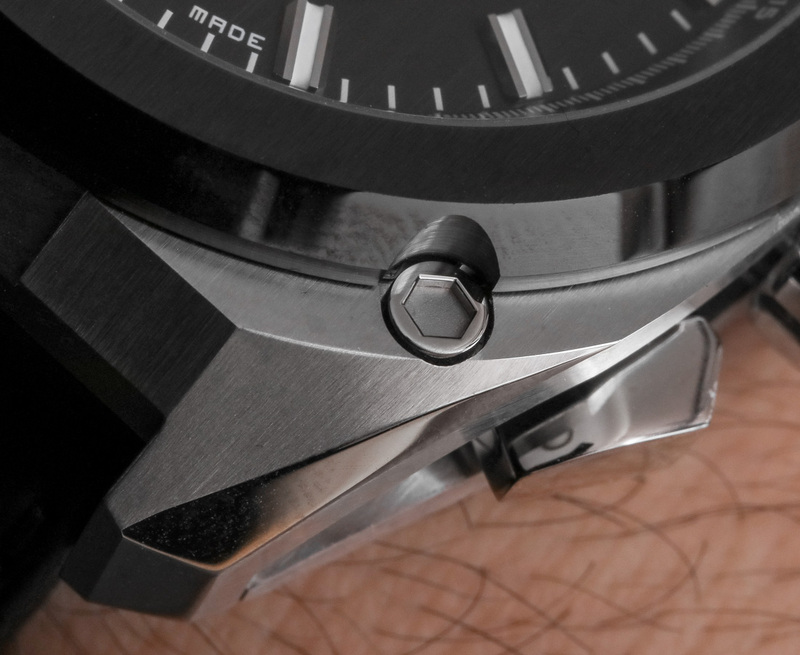 Let’s talk about the design of the watch overall, and then go into details about the dial. 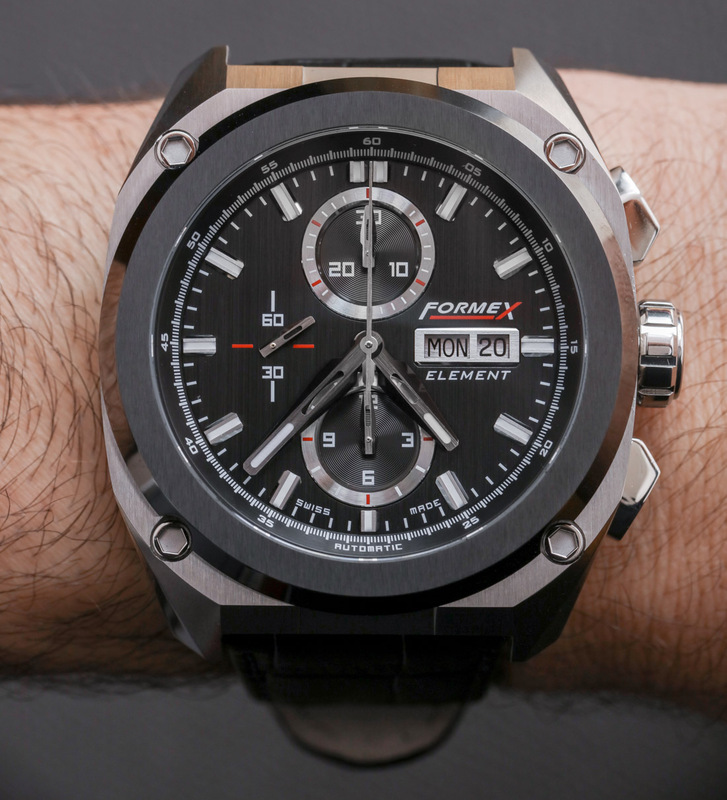 Formex seems to have specifically intended for the Element watches to look familiar (in a modern, macho, sports watch kinda way), with just enough originality so that it didn’t actually look like anything else. 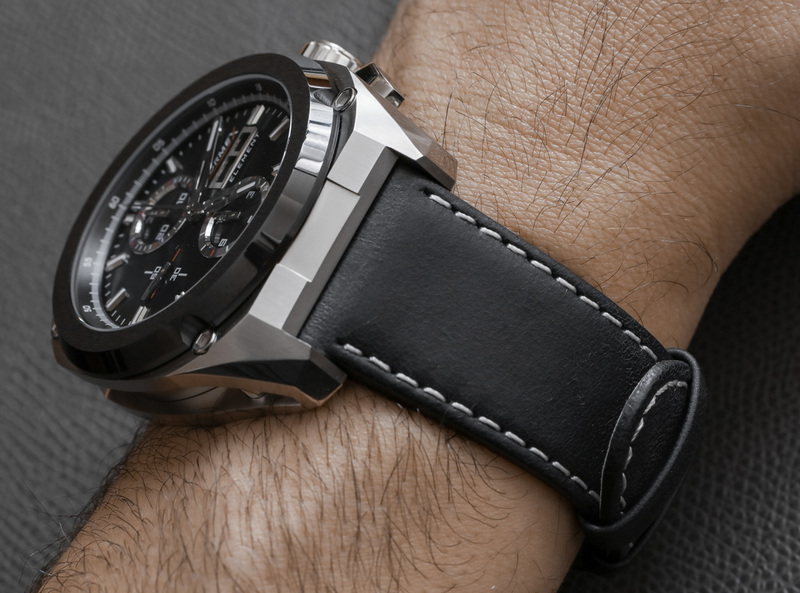 The result is a design which I think a lot of newer watch lovers are going to be interested in, but devotees of bigger name watches are likely going to want a bit more originality out of the design. At best, the Formex offers a “baby Hublot” look, with a lot of the same visual themes, at no more than about 10% of the cost of a Hublot. Very little from a design perspective of the Element is original. While the watch itself does not pay homage to any one specific timepiece, you can see little bits and pieces borrowed from a range of brands and models. This isn’t really a sin, given that to be truly original is often deleterious to business interests. However, it means that with the Element, Formex is mainly targeting people who are aspirational. These folks really want the much more expensive “X” model watch, but given the good value and sensibility of the Element, they find it hard to resist. One brand whose watches the Element sort of reminds me of (not so much in specific design, but some of the finishing, and parts) is Ball.